Uber brought in $2.8 billion in revenue in the second quarter of 2018, however, the company ended up losing $891 million due to increased spending. It turns out the arms race that is self-driving cars of which every major tech company seems to be competing in costs a whole lot of money from R&D to testing on public roads. Uber actually turned a small profit in the previous quarter due to its decision to sell its businesses in southeast Asia and Russia to local rivals. As Uber looks to go public in 2019, there will be much debate about how much cash the company tends to burn through but at the end of the day it’s a tech company with extreme competition, where spending is bound to happen. Uber lost $4.5 billion last year and has burned through $11 billion since its inception in 2009, but reportedly still has $7.3 billion cash on hand. 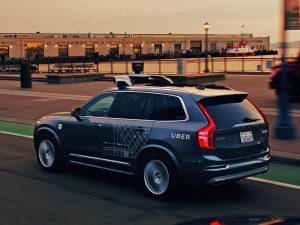 While the company’s ‘growth before profit’ notion is admirable, its self-driving car operation is said to be losing as much as $200 million a quarter which could be troublesome moving forward.